Size: To 0.125 in. wide in clusters in the leaf axils. Notes: Forms mats on the ground of 6 in. to 1 foot in size. 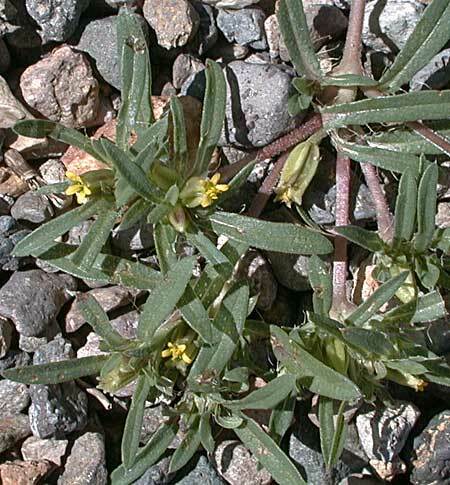 15 species of Pectis in Arizona. Prostrate Cinchweed plant profile on the USDA Plants server.